Online 2019 Catalogues available: Visit the Catalogues download page here. Follow us now to keep up with latest offers and additions to stock. 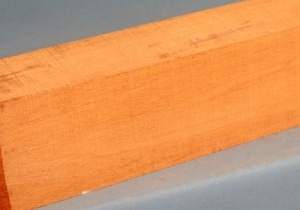 Sizes for acoustic guitar neck blanks. Honduras mahogany guitar neck blank type C first choice. Swietenia macrophylla sourced from Central and South America. Photo is of a typical piece. Honduras mahogany has a long history of use for acoustic guitar necks and is very well suited for classical or steel strung instruments. It is light weight, stable, stiff and highly resonant and the mid brown colour seems to fit well with most back and sides sets combinations. Our guitar necks are cut with skill and care from selected board stock. 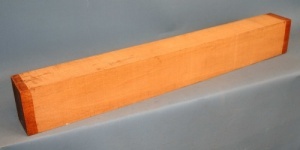 Honduras mahogany is CITES listed and requires special licences for export. We regret that for practical reasons we are not able to supply this item to countries outside the EU.